Footage has surfaced from the shooting of Kemal Kurkut who was executed on the street during Newroz celebrations in Amed in 2017. 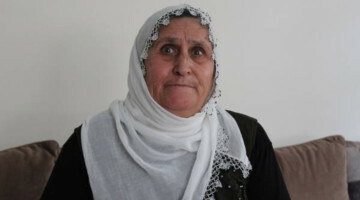 In the footage published by the Mesopotamia Agency, it is clearly seen that Kurkut could have easily be contained without violence, but is deliberately shot with a gun. The execution happened on March 21, 2017 in Amed. Kemal Kurkut was a 22 year old university student who came to Amed from Malatya for Newroz celebrations, and was targeted by the police by the entrance of the celebration grounds. One year has passed since this execution. 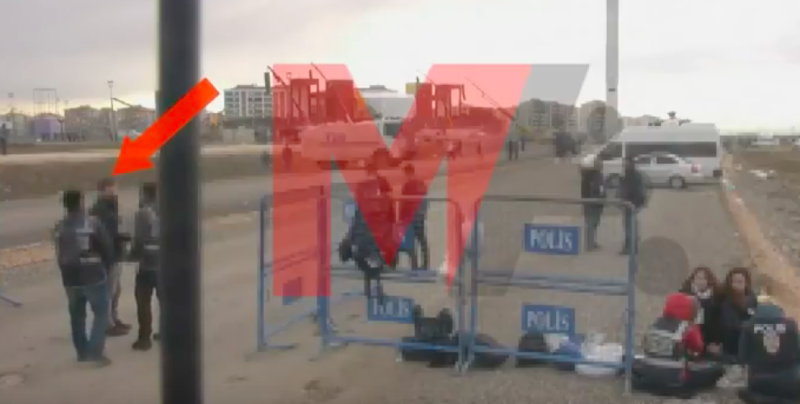 The footage gathered from the press and armored police vehicles by the protocol entrance on the Evrim Alataş Avenue, as well as neighboring businesses, show the moment Kurkut was shot. The full conditions of Kurkut’s shooting was captured on camera second by second, and the reviewed footage has been added to the casefile. The police report had accused Kurkut, but according to security camera footage, Kurkut is walking fast towards the police checkpoint, but stops at one point to throw the cardigan he was wearing to the ground and then continues. The policemen were waiting by the search point, and started to move about and take out their guns when they saw Kurkut coming at them, with a water bottle in his left hand and a knife in his right, without a shirt on and pointing the knife at his own chest. Some of the officers with their guns drawn fired shots into the air, and others pointed their guns at Kurkut. Kurkut advanced towards the search point with the knife pointed at himself, and did a sudden movement towards the police officers who attempted to get close, then said something and started to run towards the event grounds. The police officers followed Kurkut with their guns pointed at him. Some other officers fired shots into the air. The accused police officer Y.Ş. was 5-6 meters to the left of Kurkut as he came to the checkpoint. Y.Ş pointed his gun not at Kurkut’s feet but to his torso, and fired two consecutive shots. The footage shows Kurkut jerking suddenly with the bullet hitting him by his chest. He touched his wound and looked, then started to slow down. The police officers in front of the water cannon across from Kurkut fired more shots into the air. The officers behind him followed Kurkut with their fingers on the trigger. Kurkut, holding his bleeding left side where the bullet hit him, stumbling, attempted to go over the bump by the water cannon and lost consciousness seconds later, first falling to his knees then rolling off the bump. Accused officer Y.Ş. pointed his gun to the ground after shooting Kurkut at this point, and then proceeded calmly to where Kurkut fell. When he arrived at Kurkut’s side, Y.Ş. spent time searching Kurkut’s body after taking away the knife. Some time later they gave Kurkut first aid, then he was taken to the hospital with an ambulance. Kurkut later lost his life in the Memorial Hospital he was taken to. The footage doesn’t show why Kurkut returned from the checkpoint and entered a butcher’s shop to take a knife, why he took off his shirt, and what dispute he had had before with the officers at the search point when he first went there before the shooting incident. 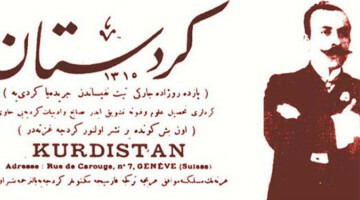 The first statement by the governorate had called Kurkut a suicide bomber, but Dihaber published photographs of the shooting, after which the governorate circled back and announced the launch of an investigation. 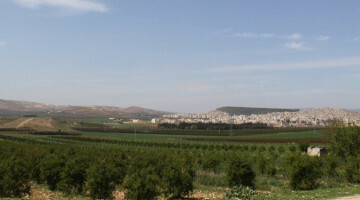 Kurkut’s body was sent to his hometown of Malatya to be buried there, and the family wanted to have the body prepared for burial at the Alibaba Cemetery. But the Battalgazi Municipality officials cut off water for the morgue. The municipal officers didn’t allow the family, who washed and prepared the body for burial with their own means, to bury the body to the grave dug next to Kurkut’s father’s grave. The municipality also refused to provide the family with a hearse. Despite all obstacles, the body was able to be taken to the Topbaş Cemetery with a neighbor’s van, and was buried. It had later surfaced that Kurkut was a survivor of the October 10 Ankara Train Station massacre where ISIS massacred 109 civilians. After public outcry, the Diyarbakır Chief Public Prosecutor’s Office launched an investigation against the two police officers who shot at Kurkut. Officer Y.Ş. (32) was released on probation by the judge he was referred to with a demand for his arrest. Defendant Y.Ş. was suspended as part of an administrative investigation, but was reinstated 3 months later. The Chief Prosecutor’s Office completed the investigation 7 months after the Kurkut murder and prepared an indictment for “killing with possible intent” against the accused police officer on trial without remand, asking for a life sentence. A total of 13 9x19 mm casings were recovered from the scene said the Prosecutor, and determined that the sheath fragment of the bullet casing that hit Kurkut’s left hand finger belonged to the gun defendant Y.Ş. was using. The case of O.M., the other police officer who was detained along with defendant Y.Ş, was dismissed as the casings of the bullets recovered from Kurkut’s body did not match his gun. 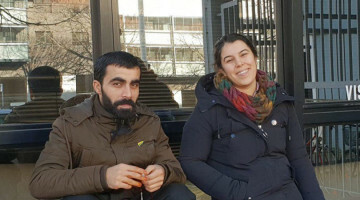 In the first hearing of the case at the Diyarbakır High Criminal Court No.7, the court ruled that the defendant be released despite the prosecutor asking for arrest. The second hearing in the case will be held on April 26. 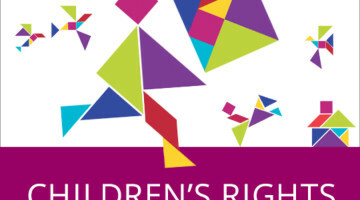 Kurkut family lawyer Reyhan Yalçındağ Baydemir submitted several requests to have the accused police officer arrested as he was in a position to tamper with evidence and at flight risk, but they were all rejected. The administrative investigation against the police officers who gave false information on the incident and attempted to delete footage of the murder taken by journalists for “abusing their duties” and “obscuring and tampering with evidence” continues still.